NHS North Street Dental Practice is based in Lurgan. To provide for our patients with any form of disability we have two downstairs surgeries. We are taking on new NHS patients! Registration is quick and easy. 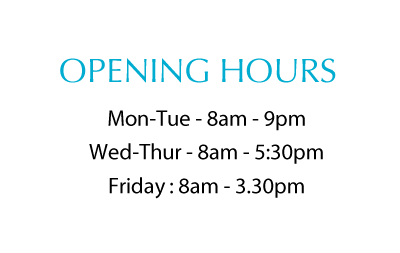 Your first visit to our practice will involve meeting our reception team and completing a short medical questionnaire. The medical history form can be downloaded from the link below and taken with you already completed to your first visit. We are happy to help with any questions you may have and will assist you with the form where possible. It is advisable that you also bring a list of the current medication you take to your first visit. You will then be greeted by the dentist and a dental nurse, who Will Discuss Your Dental History And Any Concerns or problems You Might Have with Your Teeth. The dentist will then throughly examine the teeth, gums and soft tissues in your mouth. You may also require 2 small X-rays, one of each side of your mouth, to allow the dentist to look for any problems that cannot be seen in the mouth. Afterwards, the dentist will discuss their findings with you and give you the chance to express your preference for treatment or any fears you may have of any treatment you require. You will be provided with Estimate Of the cost of the treatment required and also an idea of how many appointments you will need. If you require extensive or complicated treatment, the dentist may take simple impressions to allow models to be constructed and arrange another appointment to discuss the treatment options to you. If you require noFurther Treatment you can book your checkup appointment for 6months time and we Will Arrange To Send A Reminder of your appointment date. Our aim is to prevent future problems. Preventitive treatment and advice is at the centre of the care we provide. We will work along side you to help you achieve a smile that you are proud of. Bright smiles come Naturally to some but, Sometimes We Need To Give Nature A Little Help. Always ask if you have any question or queries. The Only Silly Question Is The One You Don’t Ask.